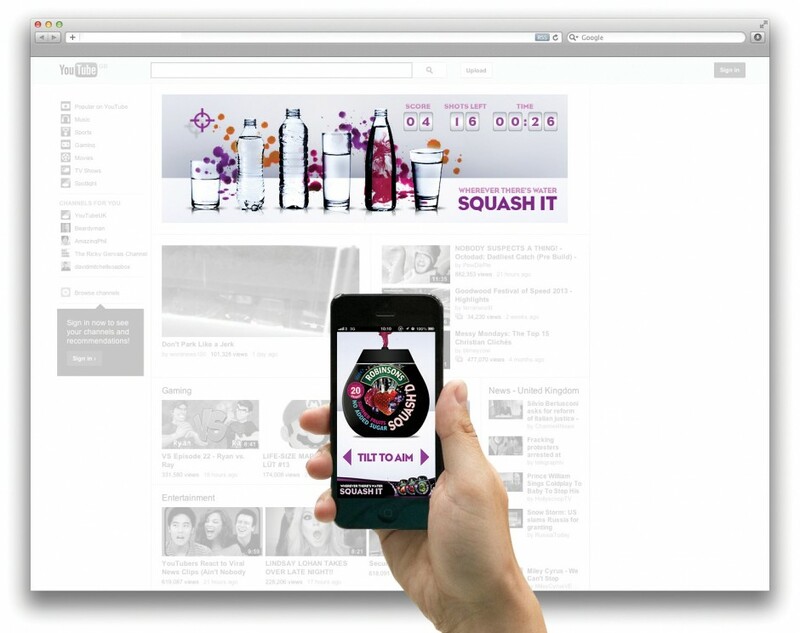 For the digital launch activation of the new pocket-sized Robinsons Squash’d. The main aim was to communicate the flip and squeeze action of the clever little pod and the three new flavours. 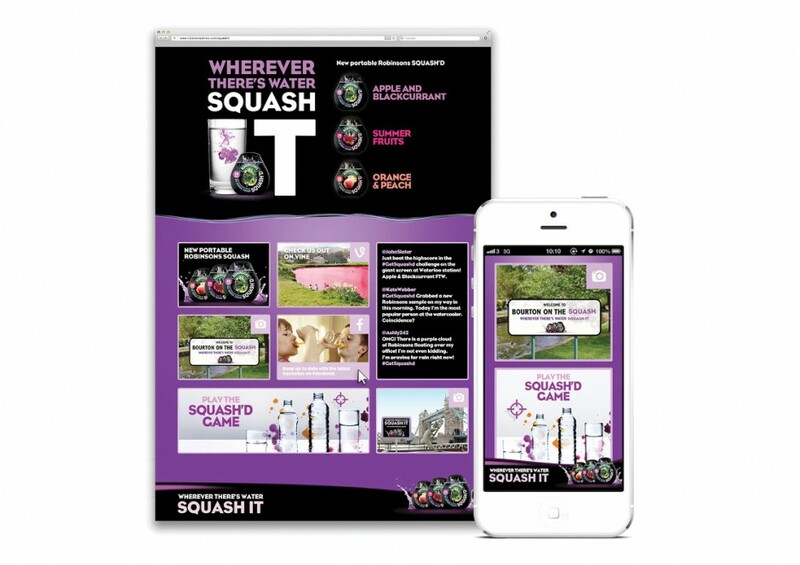 We created a promotional game using digital technology that allows users to take control of billboards and web banners and play using their own mobile phones. 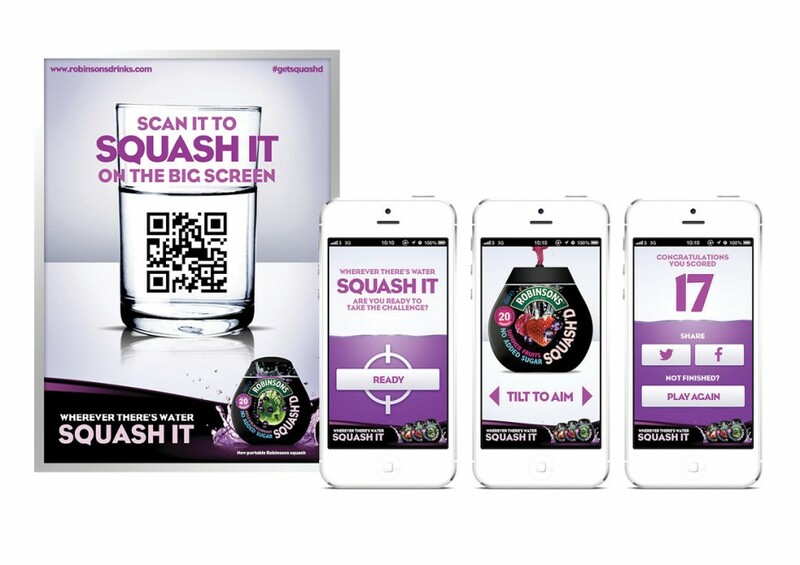 Each player was given one of the three flavours and 30 seconds to ‘Squash it’ against other players. 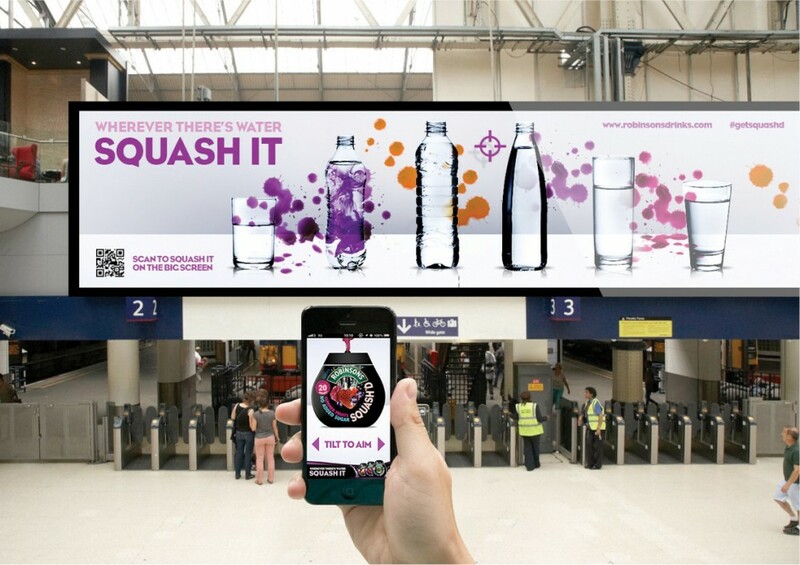 If they managed to squash the most water with their flavour, they won a prize.